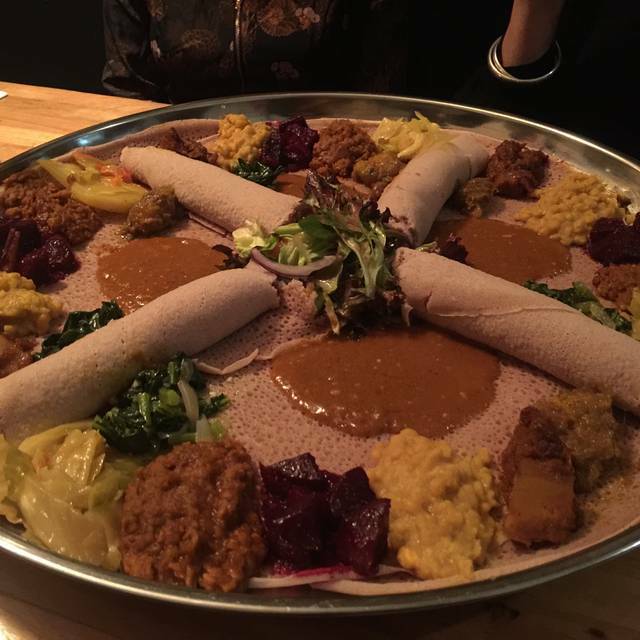 You must make reservations at least 5 minutes in advance of the time at Mesob Ethiopian Restaurant and Bar Northcote. 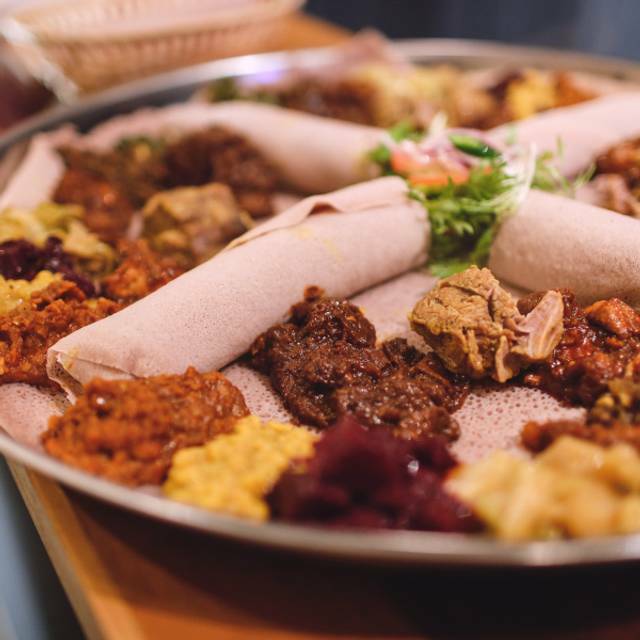 The cuisine of culturally rich Ethiopia utilises a sophisticated array of spices to produce a diverse and flavorful taste. Meals are traditionally served on a communal platter for sharing with friends and family. Come and discover the charm of Ethiopia and MESOB. Had a great time the food was great, the staff were very helpful, would go again. I love this place, great authentic food, served by an enthusiastic, friendly staff. 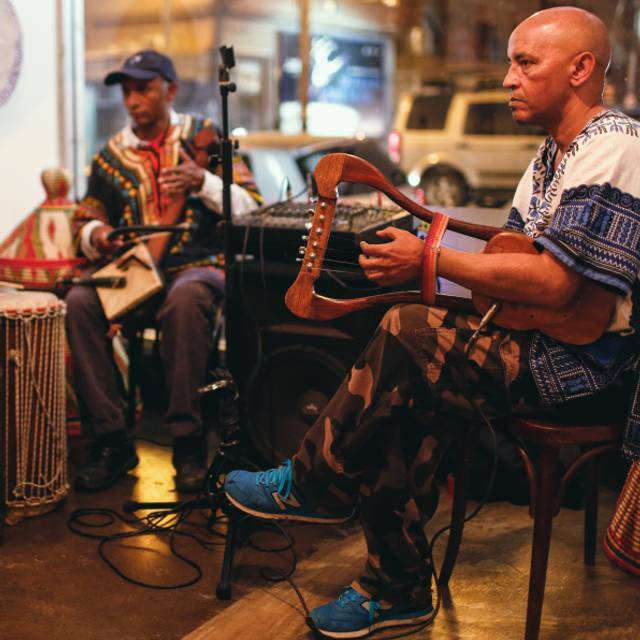 Great ambiance, moderately priced, and even some Ethiopian beers. Perfect for couples, friends or large gatherings . I'm glad we booked because it was busy and noisy when we first arrived. It has a really relaxed, fun vibe. Most importantly, the food was absolutely delicious. We had a sharing plate, all gluten free, and it was just so good, rich, varied, amazing colours and textures. Will come again! Absolutely delicious! Caters for Vegan and Celiac with no stress at all. The Bar next door was such fun afterwards as well with a fantastic and joyful band. Totally recommend. such an amazing vibe, lovely place to go for a date night! Great food, great staff. Had highchair hair and colouring pencils ready for our kids and made a meal just for our 4yo. 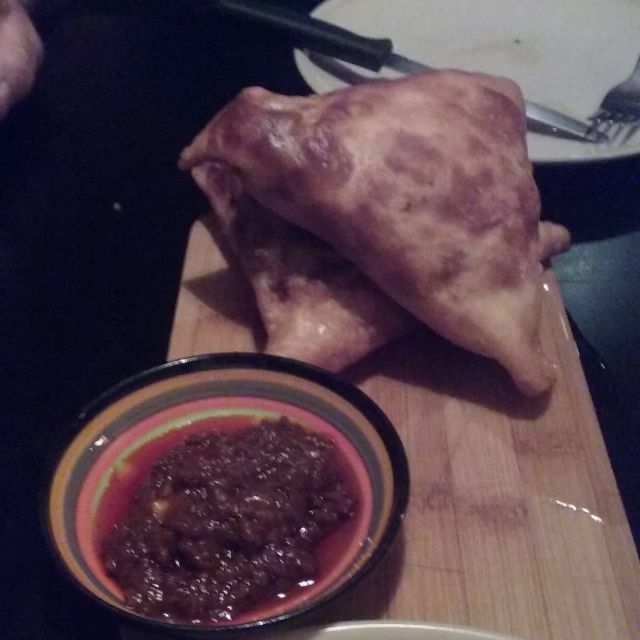 The food is as always amazing, the service is friendly and quick. I've taken several friends before, and absolutely will again. Great service and great food. Can't recommend it enough. The food here is so delicious! I also love that depending on the number of guests, the platter is evenly portioned for each diner. This is great for those who may not particularly like sharing with others. My only minor criticism would be that the service can be a little slow but all is forgiven when the food arrives. Great for families. Mesob and saved our visit up for Valentines Day, but we had a very disappointing experience. The waitress seemed to forget about us for long periods of time - it took half an hour to be given water, and an hour to be given our main. We left feeling very let down. Valentines dinner for two. We were gratified at the well crafted flavours and the wonderful hands-on dining experience. The food was flavourful but without the one-dimensional overpowering spiciness as can sometimes spoil other cuisines. In all, I would definitely come back, preferably over and over. Vast quantities of delicious, affordable Ethopian food, in a busy and LOUD restaurant. Go with a group, share a couple of platters and don't be sniffy about how loud it gets. Great food for sharing, lots of flavour and caters to many dietary restrictions. Good attentive and fast service too. EXCELLENT FOOD AND GREAT VALUE FOR MONEY. REALLY ENJOYED IT. A very popular but noisy restaurant. Service was prompt and there is virtually no waiting once you have ordered. We ordered the omni platter for two and there was a large variety of small samples of food, however there was way too much bread and not nearly enough salad for two people. Ended up cleaning the plate and still left slightly unsatisfied. Great food, loved the atmosphere. I recommend the platters. Food was unusual and very tasty. We thoroughly enjoyed our shared platter using our fingers as is tradition. There was ample food enjoyed with some wine. We enjoyed the atmosphere and the service. Great food, and staff who are fabulous (extremely welcoming and patient with our group of 7) make this a place I'm always happy to go back to. Our group felt very well looked after! We each had our own section of the shared plate so the vegetarians were well catered to. We were happy with the list of drinks available, and a few of us tried the St George beer. Topped it off with some delicious coffee. A very happy customer! Had a great night out with friends at Mesob in Northcote. Mesob is a great find for food with a difference. Great tasting, good vegetarian options, helpful friendly staff and well priced. Banquets provided great assortment of tastes and textures, but the a'la carte menu also has a lot of variety with both meat and vegetarian goodies. Easy to buy and share. Big thanks to the Mesob staff who were happy to help us drinks and coffees even though we stayed very late. The food was absolutely delicious. I’ve been to many Ethiopian restaurants and this one by far exceeds them all in terms of service, food and ambiance. Definitely coming back for more. Outstanding food, great service. Highly recommended. Delicious food, nice atmosphere. Highly recommend for dinner with friends. Really enjoyed our first experience with Ethiopian food. Its very spicy and tasty. Service was great considering the crowd on a Saturday evening. Will return. Walking into Mesob i felt such a warm and inviting atmosphere. My friend and i shared a vegetarian platter and it was soo delish! I couldn't stop eating until it was all gone. It's such a lovely experience to eat with your hands, picking up the yummy injera bread and all the curries! So many beautiful flavours. Service and food was lovely, the space is fun and friendly, enjoyed our dining experience there very much. Very busy restaurant but this did not seem to have an impact on the service provided. Friendly wait staff, great value for money, food was delicious and my husband was extremely happy with the amount of injeri bread served! 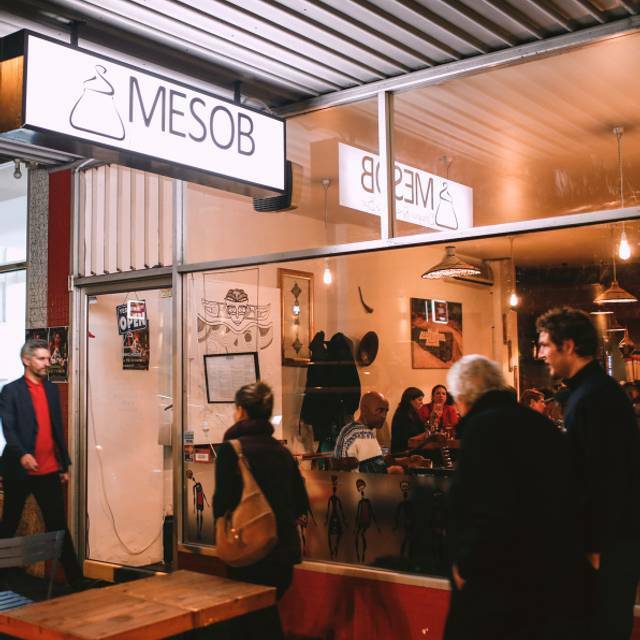 I can highly recommend dining at Mesob after friends and I enjoyed an amazing dinner here! We were welcomed with a smile and the fantastic service continued throughout the evening. Food was authentic and delicious with lots of vegetarian options and the staff were very accommodating of our dietary requests. We enjoyed an Ethiopian Syrah wine that paired perfectly with our meal! This place is a real gem. Great share platter and the service was excellent. The perfect place to go with a group of friends to share authentic food together. We love Mesob's food, and the smiling service from the staff! The sharing plates, eaten with your fingers are the way to go to try a range of flavours. Sharing the same piece of injera as your partner or guests is quite an intimate experience, and is a lot of fun! My partner is gluten-intolerant, and the restaurant makes an excellent GF injera, so she's not left out! It gets very busy, so book ahead. It's also not a quiet restaurant when busy, so be prepared for some noise and lively conversation. The staff are always friendly, smiling and laughing, both with each other and the guests. Great food, good service, good value, great location, overall Experience was amazing. Nice local spot. Food is great, good quality and outstanding value. Service friendly, though they were pretty busy for a Tuesday night and there were only two front of house staff on so it wasn't the most attentive. Overall though, a good night.